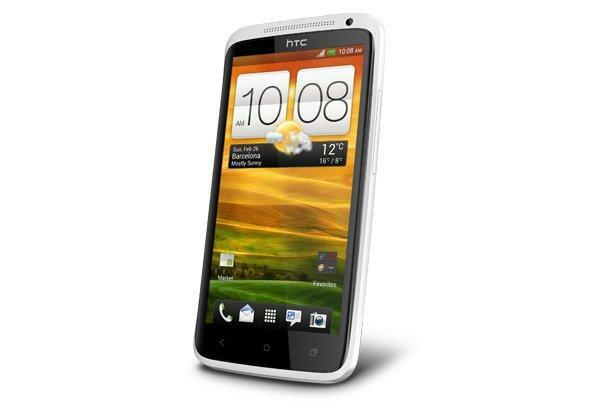 The HTC One XL is a 4G-capable version of HTC's One X that will work on Telstra's new 4G network in Australia. The One XL is an identical looking phone to the One X with a couple of very key differences. The obvious one is 4G capability: the One XL is compatible with the 1800MHz LTE band used by Telstra's new 4G network and is therefore a sure bet to launch through Telstra in Australia. Unlike other "4G" networks in the world, the 4G network used by Telstra is best described as an LTE enablement of its Next G network. It runs on the LTE 1800MHz network band but "switches across" to the Next G network when 4G coverage is not available. The HTC One XL would be Telstra's second 4G capable smartphone following the launch of the HTC Velocity 4G last month, though Samsung is rumoured to be launching a 4G-capable version of the Samsung Galaxy S II in the coming weeks. There are two other key differences that differentiate the HTC One XL from the One X. The One XL is powered by a dual-core rather than a quad-core processor and comes with 16GB of internal memory compared to the One X's larger 32GB capacity. The dual-core processor is presumably to ensure competitive battery life, but we can't understand the 16GB of memory: with no microSD card slot, many potential buyers may be reluctant to live with such a small amount of memory. The differences end there, so the One XL has all the same features of the One X sans processor and memory. This includes a large 4.7in Super IPS LCD2 with a HD resolution of 1280x720, a Near Field Communications (NFC) chip, and an 8-megapixel camera with backside-illuminated sensor. Like the One X, the One XL is the hero device of HTC's new "One" family of devices which aim to simplify the company's smartphone range. The camera remains one of the key features of the One XL. The phone has a dedicated imaging processor that HTC says will result in less image noise, better colours and higher quality images overall. There is a vast array of software improvements, too. Users can bypass the lock-screen and immediately jump into the camera app, while the One X also allows you to take a photo while shooting HD video (called "double shutter") and can even allow you to capture a still image from an already recorded video. Holding your finger on the shutter button will also enable burst mode. The HTC One XL also marks a new design trend by the company. Gone is the unibody aluminium casing of previous phones. Instead, the One XL uses a single block of polycarbonate plastic. It's the same material found on Nokia's Lumia 800 and N9 smartphones and is often used in the construction of ice hockey helmets. The One XL will be available in white and dark grey colours. There are a few downsides to the new polycarbonate design — the battery is not removable, there is no microSD card slot for extra storage and the phone uses a micro-SIM rather than a full-sized SIM card. The HTC One XL runs the latest 4.0 Ice Cream Sandwich version of Google's Android operating system and is skinned with HTC's Sense 4.0 UI. HTC has attempted to simplify an interface which has often been accused of being too cluttered — as an example it has removed some of the fancy 3D animations to improve performance, and redesigned other UI elements to tie in better with Android 4.0's interface. New features of Sense include "ImageSense" which enables you to take a photo in 0.7 seconds with a 0.2 second autofocus, Dropbox integration with 25GB of free storage, and the ability to sync iTunes playlists automatically. The One XL also comes standard with Beats Audio qualities, a direct result of HTC's "strategic partnership" with the Beats By Dr. Dre audio company. It will work in all applications, not just the music player. HTC hasn't announced pricing or availability details for the One XL, but it is expected to launch in Australia through Telstra in the coming months.